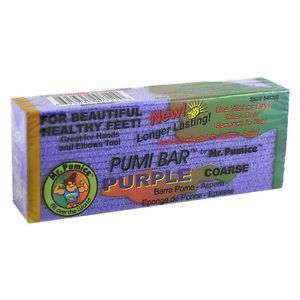 Man-made pumice bar to exfoliate and remove dead skin from dry areas of the skin. Great for feet, can be used on elbows too. Directions: Apply a little soap and warm water on the areas to be cleaned, gently rub pumice on the area, rinse with water and let dry. Rinse Pumice bar under hot water after each use.